Bio Notes: James Maitland Wardrop, known in his lifetime as Maitland Wardrop, was born in London on 16 March 1824, (baptised on 11 May 1824), the son of James Wardrop MD, surgeon to George IV, and his wife Margaret, widow of Captain Burn RN and and daughter of George Dalrymple of North Berwick. He was articled to Thomas Brown, becoming a partner in 1849. As architect to the Prison Board of Scotland, Brown had an extensive county courthouse and prison practice, the design work of which Wardrop gradually took over at the county buildings of Wigtown (1862), polychrome Franco-Italian Gothic and Alloa, Clackmannan (1863), Forfar, Angus (1869) and Stirling (design 1866, built 1874), all 15th/16th-century Franco-Scottish of the same school as David Bryce's Fettes. Indeed he may have spent some time in the office of David Bryce on whose work his domestic style and planning was closely based. 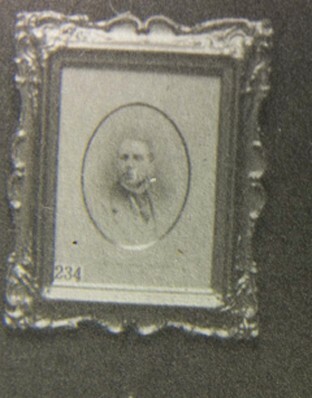 Wardrop married on 28 September 1853 at Dundas Castle Anna Maria, 5th daughter of James Dundas, 24th and last of Dundas, a financially unsuccessful inventor. This widened the already extensive landed connections he had inherited from his mother. Much of his work consisted of modernising older houses, but in 1861 he secured the commission for the huge Scottish Baronial Lochinch, built for the 10th Earl of Stair as a setting for the collections of his countess, daughter of the Duc de Coigny. With a big tower as its dominant feature, well organised plan and indoor bowling alley and extensive formal gardens, it established him as a serious rival to Bryce, a position consolidated by the equally large and stylish Franco-Scottish Stitchill, Roxburgh (1866) and the remodelling of Callendar Park, Stirlingshire (1869-77) as a vast symmetrical Francois Ier chateau. Glenternie, Peeblesshire (1863), Ardwell, Wigtownshire (1869), Udny (1874) and Fairburn, Ross-shire (1877) were all of a similar school to Bryce's houses, but his substantial enlargement of the 16th-century Z-plan tower house of Nunraw, East Lothian (1868) in its own style with thick walls, small openings and convincing detail was by far the most accomplished essay in pure revivalism then achieved in Scotland, anticipating R S Lorimer's work much later; in similar vein was his rebuilding from ruins of Barnbougle, Dalmeny, Edinburgh (1881). At Kinnordy, Angus (1879), Wardrop again broke new ground, the house being large and picturesquely composed in an early-17th-century Scots style but with a studied avoidance of towers, turrets, parapets and other baronial compositional features. At his largest and finest house, Beaufort, Inverness-shire, (1880) Wardrop again demonstrated, as at Stitchill, that he could handle the asymmetrical composition of a really enormous house better than Bryce by concentrating the design into large, simple masses. While Wardrop's classical work was usually subdued Italianate, he became a pioneer of neo-Georgian through his association with the London decorators Wright and Mansfield's Adam-inspired refit of Haddo, Aberdeenshire (1879) and the rebuilding of Barskimming, Ayrshire (1882) in a convincing late-18th-century idiom. Wardrop also rebuilt a large number of country parish churches in a distinctive early decorated style, notable Cumnock, Ayrshire (1864), Methlick, Aberdeenshire (1865), Stow, Midlothian (1862), and Ayton (1867) and Langton (1871) in Berwickshire; he was also a tactful restorer, as can be seen at Mid Calder, West Lothian (1863). Brown appears to have retired or died in 1872 or 1873. The firm's chief draughtsman, Charles Reid, was then taken into partnership. Born in 1828, Charles Reid was a much younger brother of Alexander and William Reid of Elgin. and the chief assistant, Charles Reid, was taken into partnership. The practice does not seem to have adopted the title of Wardrop & Reid until 1874. In 1876 the firm succeeded the ailing David Cousin as architects to the British Linen Bank. Wardrop's son, Hew M Wardrop, born on 25 February 1856 and an assistant in George Edmund Street's office from 1874, rejoined the practice in the mid-1870s, subsequently merging it with that of Robert Rowand Anderson and George Washington Browne as Wardrop, Anderson & Browne. In his brief career the younger Wardrop proved a skilful exponent of a William Eden Nesfield-derived neo-Jacobean at Ballochmyle, Ayrshire (1885) and of Arts and Crafts vernacular at the restoration and enlargement of Tilliefour, Aberdeenshire (1885). His assistant Robert Stodart Lorimer was profoundly influenced by him. The Wardrops lived at The Lodge (later Lydney Lodge), 2 Forbes Road, Edinburgh, a house James Maitland Wardrop designed and built for himself in 1865-66. He died there on 27 June 1882 and was survived by three further sons: James Charles, born 2 August 1854, who became a WS and joint secretary to the Life Association; Henry Alfred, born 4 May 1858, who settled in New Zealand in 1879 but returned in 1881 to become an English land agent; and Maitland Dalrymple, born 8 October 1859, who became an architect but emigrated to Virginia in 1881, returning in 1885 to become an Anglican clergyman. A daughter, Augusta, died on 21 April 1882. Professor David M Walker personal archive Professor David M Walker, notes and collection of archive material Personal information from the Wardrop family.